In 1966, Te rris Temple became the first westerner to study the art of Tibetan thangka painting in Nepal where he lived until 1975. He taught thangka painting from 1974-2005. His first trip to Tibet was in 1985, and between 1992-1217 he worked with Leslie Nguyen Temple on re-creating the four giant appliqués "thangkas" (go-ku and drapjes) for Tsurphu Monastery. 1976 in Maui Hawaii, His Holiness the 16th Karmapa advised Terris to do flower and bird painting, so he did not have to compromise not selling thangkas, as he only excepts commission for making this art. 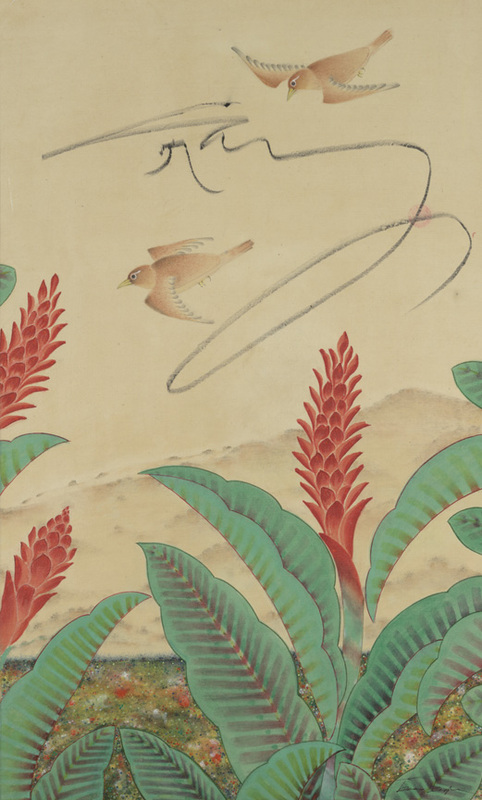 The contemporary bird and flower paintings are created using mineral and botanical pigments- techniques found in traditional Tibetan painting. Here, the natural palette consists of cinnabar, orpiment, realgar, malachite, azurite, red lead, mineral whites and the earth minerals delicately lined and shaded with lac, cochineal, indigo, safflower and a Himalayan leaf known as 'shung kan'. Terris and Leslie have been involved in projects for HH the 17th Karmapa and Tsurphu monastery for over 24 years- first with the re-creation of the two giant thangkas previously destroyed during the cultural revolution- and currently coordinating the creation of another ceremonial 40m x 2m appliqué project for Tsurphu- the Norbu (Gutor) Drabje. A 4th project the Tsechur Drabje the 40m ceremonial applique companion piece to the Karma Gadri Giku. He is also presently involved -with the guidance of HHK- in making a feature documentary 'Thongdrol" about Tibetan Art and particularly the Karma Gadri painting style. A second documentary "Tsurphu, the giant appliques" on the making of the appliques from 1992-2016 in Tibet. Filmed from 1992 until now. Trailers are cut and fundraising is beginning soon. This will be completed in Chiang Mai Thailand. "My paintings are influenced and inspired by Tibet's great teachers both Dharma and artistic and my love of nature. 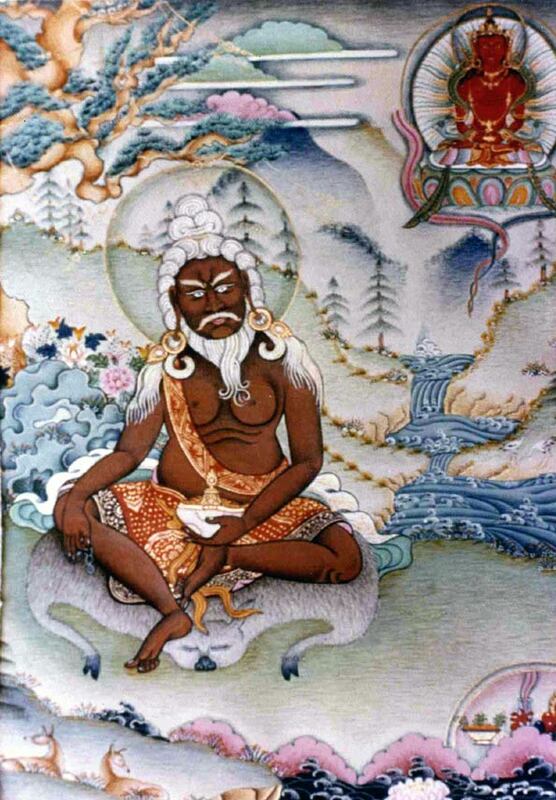 The tantric art of Tibet is a life long study, and an opportunity to improve myself on many levels.